2015 Ford F-150 For Sale in Vernon, Kelowna, Okanagan, BC. 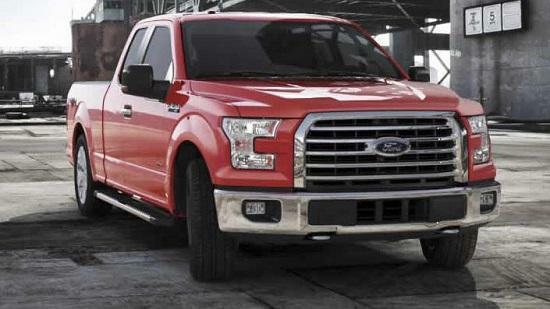 Ford calls the all-new 2015 Ford F-150 a giant leap forward in truck technology. Inspired by jobs that keep getting harder and gas prices that continue to rise, Ford outfitted the 2015 F-150 with high-strength, military-grade aluminum alloy for the body and bed and designed it to deliver more towing and hauling capability than the previous generation. It is available in Regular Cab, SuperCab and SuperCrew Cab. Trim models include Lariat, King Ranch and Platinum, with a variety of package options to customize your F-150 your way. You can also choose between 4x2 and 4x4 configurations. 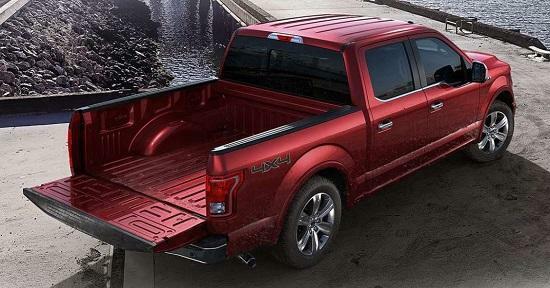 The advanced fully-boxed high-strength steel frame in the 2015 Ford F-150 is stronger and more rigid than ever. It features eight cross sections, while weighing as much as 700 lbs. less than its predecessor. This allows the 2015 model to accelerate, brake and resist corrosion like never before, while also helping to save on fuel. Available 110V/400W outlets in the cab of the 2015 Ford F-150 deliver loads of power for charging tools and battery chargers. See all four sides of your truck when necessary with the available four-camera system. Available LED spotlights in the mirrors let you illuminate what you need to from just about any angle long after the sun has set. Featuring an available 8-Inch productivity screen, the 2015 Ford F-150 allows you to display up to seven screens in one consolidated view for greater convenience. Keep track of everything to do with your truck, including how much life is left in your oil, your transmission temperature, your total engine hours and the settings for your trailer brake controller. Set up to 10 different trailer profiles and have them all at your fingertips. You can also turn features on or off, such as auto high-beam, fine-tune collision warning sensitivity, adjust interior lighting and more all from your productivity screen. The interior of the 2015 Ford F-150 has an abundance of storage. The 60 percent side of the 60/40 rear seat folds to reveal a hidden storage bin. A pull-out bin sits beneath the middle front seat of the 40/20/40 configuration. The available moonroof is large, and extends over the rear seats so everyone can enjoy it. The front panel can slide open or tilt up at the touch of a button on the overhead console, so let that fresh air in. All engines come paired with a 6-speed automatic transmission. The 3.5L V6 Ti-VCT FFV delivers a max payload of 1,910 lbs. and max towing capacity of 7,600 lbs. Its twin independent variable camshaft timing (Ti-VCT) automatically adjusts intake and exhaust for enhanced efficiency. The 3.5L EcoBoost V6 has been rated at best-in-class with 12,200 lbs. of towing capacity while the 5.0L V8 Ti-VCT delivers a best-in-class payload rating of 3,300 lbs. The 2015 Ford F-150 comes with a comprehensive warranty that is meant to keep you on the road where you belong. Some conditions may apply. See Watkin Motors Ford for full details in Vernon, British Columbia, Canada. With all-new technology features, plus a brand new frame and body, the 2015 Ford F-150 has raised the bar on what is expected in a work truck. Be on the cutting edge of toughness and capability while using the latest in information technology, all in one superbly crafted vehicle. Learn more about the 2015 Ford F-150 when you visit your Okanagan Ford Dealer - Watkin Motors Ford. From the wide selection of new, used, and certified pre-owned models, you’re bound to find the car of your dreams.